Throughout the centuries, ballet has had a rich and ever-evolving role in the humanities. Renowned choreographers, composers, and performers have contributed to this unique art form, staging enduring works of beauty. Significant productions by major companies embrace innovations and adaptations, enabling ballet to thrive and delight audiences all over the globe. Among the principal figures included here are Alvin Ailey, Afrasiyab Badalbeyli, George Balanchine, Mikhail Baryshnikov, Pierre Beauchamp, Sergei Diaghilev, Agnes DeMille, Nacho Duato, Isadora Duncan, Boris Eifman, Mats Ek, Erté, Martha Graham, Inigo Jones, Louis XIV, Amalia Hernández Navarro, Rudolf Nureyev, Marius Petipa, Jerome Robbins, Twyla Tharp, and Agrippina Vaganova. This work also features dance companies from the Americas, Australia, China, Cuba, Egypt, Iran, Korea, New Zealand, Russia, South Africa, and Vietnam. Productions include such universal narrative favorites as Coppélia, The Nutcracker, The Sleeping Beauty, Scheherazade, Firebird, and Swan Lake. Mary Ellen Snodgrass taught high school and university classes for 23 years and served as a state humanities lecturer and member of the NC Library Commission. She is the author of several award-winning reference volumes including Encyclopedia of Feminist Literature (2006), Encyclopedia of Utopian Literature (1995), Encyclopedia of Fable (1998), Encyclopedia of the Underground Railroad (2007), and Encyclopedia of Clothing and Fashion (2013). Encyclopedist Snodgrass concentrates here on the historical and international aspects of ballet. The book’s 170 entries, which are complemented by a variety of color and black-and-white photographs, address topics such as people (dancers, choreographers, companies), ballets, eras, and concepts. A chronology spans from 802 CE (Apsara court dance) to the present. Each summary provides an overview citing a single source supported by the bibliography (at the end of the book) that separates primary and secondary sources. American Ballet Theatre and the Bolshoi are examined, along with the Greek National Opera Ballet, Shanghai Ballet, and Philippine Ballet Theatre, among others. Les Ballets Trockadero de Monte Carlo and Nederlands Dans Theater are also featured. Major Ballets (Swan Lake, The Nutcracker, The Rite of Spring) are profiled along with important choreographers (Marius Petipa, George Balanchine, Isadora Duncan). Dancers (Mikhail Baryshnikov, Margot Fonteyn, Vaslav Nijinksy) and the interesting subjects of folkloric ballet and ballet music are highlighted. Concepts such as character role, divertissement, and partnering are considered, as are attire, including shoes. 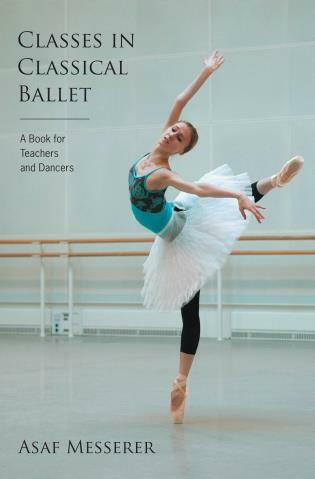 Verdict: This encyclopedia contributes significant information as a starting point in learning about the many facets of ballet and will be helpful to high school and college students doing research papers on the subject. Teens may enjoy it as a view on the terpsichorean world. Libraries should own a current dance encyclopedia, and this single volume with an international focus is an ideal choice. With a spotlight on ballet all over the world that includes many smaller European and Asian companies as well as the larger and more familiar American and European companies that are frequently the subject of such a work, this is one book that lives up to its title. It opens with a chronology of important dates in ballet history, from its beginnings to the present day. Following that are alphabetically arranged entries covering concepts, people, musicians, choreographers, companies, ballets, eras, issues, and dance manuals. In the center of it all is a gorgeous color photo spread featuring many dancers and companies not usually included in dance reference works of this type. Elsewhere throughout the book, there are some historical black-and-white photographs. . . .[T]he book's true worldview, carefully compiled bibliography, and appealing photographs make it a solid ballet reference work suitable for any performing-arts collection. 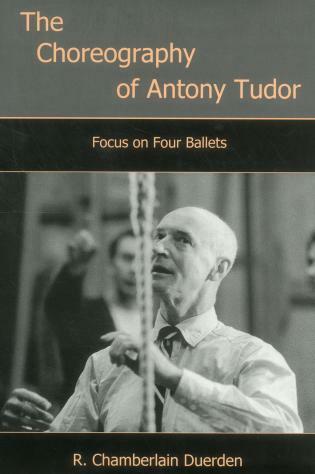 This volume contains, appropriately, many highlights of the world of ballet. Filled with well-executed entries written by prolific encyclopedist Snodgrass, this new encyclopedia includes some of the most important people, places, and events in ballet history. Entries feature renowned dancers and choreographers, notable dance companies, ballet language and terminology, and composers, costumers, and set designers. Famous or notable productions are also included. A time line of important and significant events beginning in 802 through 2015 begins the encyclopedia. Some peripheral aspects of ballet are also included, such as ballet in art and film and its infusion into Broadway. A bibliography of primary and secondary resources and an extensive index complete the volume. Interspersed throughout are historical black-and-white photographs along with some inspiring color photos inserted in the center of the work. . . .[T]he need for an up-to-date encyclopedia on the subject is long overdue. Any comparable work in this area is at least 15 years old or more. The volume will be useful to ballet practitioners as well as colleges and universities with dance programs. Summing Up: Recommended. All academic levels; general readers; professionals/practitioners. Entries are informed and informative, with tightly organized factual details about the lives and achievements, musical and choreographic ideas and dance and staging challenges involved. There is a comprehensive index which enables the reader to follow through topics across the book…. The quality of the entry information is self-evidently good…and the coverage of world topics is helpful to the intended readership…. The strengths, then, of this reference work are enough to recommend it to any library seriously serving courses on dance and ballet, and the implied bibliography is worth pursuing for its own sake. Featuring a chronology that identifies key events and figures, this volume highlights significant developments in stage presentations over the centuries. 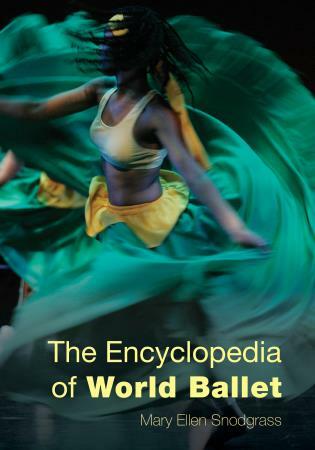 The Encyclopedia of World Ballet will serve general readers, dance instructors, and enthusiasts from middle school through college as well as professional coaches and performers, troupe directors, journalists, and historians of the arts.